Mark your calendars for Wednesday, October 18, as we celebrate the birthday of Scripps College founder Ellen Browning Scripps. The Scripps College Press has served as a hub of creative expression of the College from the beginning. The Press has provided generations of students from The Claremont Colleges the opportunity to learn the art of traditional letterpress and printmaking with start-up funds from the Class of 1941. Continuing in that vein, a recent gift to support the Press is helping to expand the role of book arts on the campus and across the Scripps community. In a statement to the community this week, President Tiedens speaks to the concerns surrounding immigration in the United States. We turn to our alumnae, families, and friends to support our students, staff, and faculty affected. Scripps College President Lara Tiedens announced to the community on September 7, 2017, that Binti Harvey, who currently serves as vice president for Marketing and Communications, will fill the role as interim vice president for Institutional Advancement. The numbers are in, and Scripps College surged past its financial goals for the 2016-17 year thanks to our devoted and generous alumnae, families, and friends. This year included remarkable gifts to support The Scripps Fund, our endowment, and valuable programs for students, staff, and faculty. Mike Archibald, vice president for Institutional Advancement, announces his resignation, effective in October. During his tenure at Scripps College, Archibald led the College in developing the tenants behind the More Scripps campaign. The most successful campaign in Scripps history, bringing in more than $144 million with one year remaining, More Scripps has enhanced campus life at the College. A beloved and dedicated member of the community, Bishop sadly passed away this June. A new award, the Paul R. Bishop Memorial Award in Choral and Vocal Music, commemorates his legacy with the goal of celebrating the exemplary work of choral and vocal music students in the Joint Music Program. Inspired by the goals of the More Scripps campaign, alumna Joanna Dunklee ’62 completed a $1M real estate gift in June, supporting the College’s endowment. 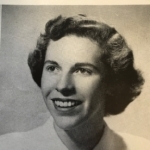 Alumnae of a certain era may recall that Margret “Peg” Hart ’49 and her husband David were active ambassadors for Scripps College. Give Back to Scripps During Our Final Day of Giving in 2016-2017. Our Roots Run Deep. 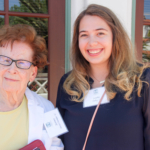 In honor of alumna and donor Carlotta Welles ’39, Scripps College unveiled the Carlotta Welles ’39 Center for Career Planning & Resources on May 12, 2017.